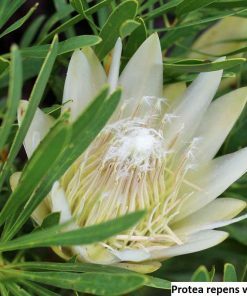 The best time to plant Protea is during autumn or spring because that’s the period with the most oscillations during day and night temperatures, which is good for germination. If you finish planting it in autumn, the plant will have just about the right amount of time to strengthen until summer and it will be able to sustain high temperatures without any troubles. Submerge the seed into a fungicide solution before planting it, and leave it there for 12 hours minimum. You can skip this step, but submerging the seed will make the germination process faster, so it’s recommended. 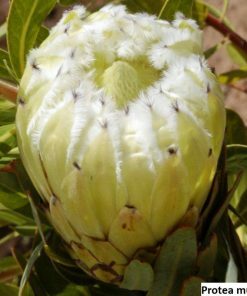 The substrate for Protea planting has have soil acidity ph value 6-5-5. You can make the best mixture by adding coarse river sand and peat or degraded pine needles in an equal amount. In addition to the soil acidity, you need to look after about substrate drainage. This can be achieved by adding perlite. The next step is the sterilization of the substrate in order to avoid fungi occurrence. You need to put the substrate into a microwave oven for at least 3 minutes or in an oven for at least 45 minutes. Cool the substrate afterwards. 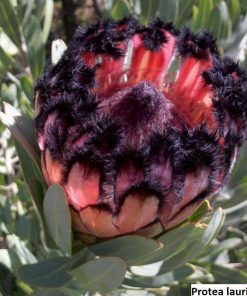 The containers for planting Protea need to be able to contain around 500ml of the substrate and have a hole at the bottom for water drainage. Instead of the container, you can use a regular, plastic, transparent bag with pierced holes at the bottom. Never fill the container up to the top, leave at least a few inches (centimetres) of space at the top. Plant the seed at the depth of its size and water it generously with the fungicide solution. Cover the container or close the bag to keep the soil moisturized. Leave it somewhere in the shade. 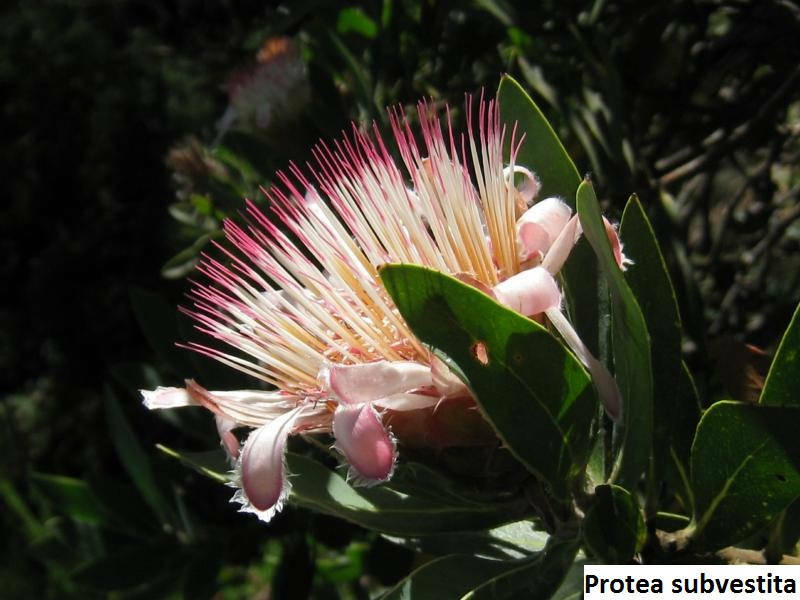 For Protea’s germination, you’ll need to provide 72-24°F (22-29°C) degrees during the day. The night temperature can be as low as 55°F (13°C) degrees. The germination usually starts in a month. 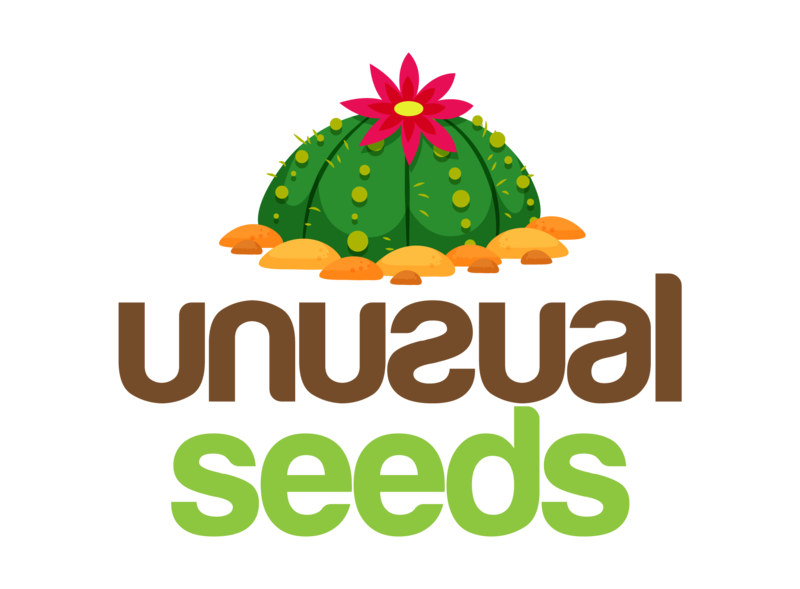 Most of the seeds germinate during the period of three months. The cotyledon is the first to sprout, and little leaves appear later on. When they start showing up, the first seedling leaves can gradually start getting accustomed to direct sunlight exposure. The seedlings need moderate moisture exposure and its substrate cannot be let to dry off. Place: Grownup plants can handle the direct sunlight exposure well, wind as well, so you can plant it in your garden, out in the open. However, you’ll need to take it inside a warm room during winter, because it can freeze. Substrate: Acidic soil suits this plant well with the ph value of 5.5. In addition to that, you need to provide it with a good permeable substrate and good drainage. You can create permeability with perlite, and enhance drainage by having a container with numerous holes at the bottom and pebbles over them. Repotting: During repotting, you have to take care not to damage the roots because they are extremely sensitive. If you live in an area where there’s no strong frost during the winter, feel free to plant it in the garden in a hole deep about 20 inches(500mm). Watering: Watering with rainwater is recommended. During the period of the highest temperatures, watering should be reduced to a minimum and only in the early hours in the morning or late at night. Water it when the soil is dry. Wintering: Considering the fact that this plant originates from South Africa, it’s not frost-resistant. It’s best to keep it indoors, on the temperature of 68°F (20°C). You need to provide it with an ample amount of light even then. Topdressing: The roots are extremely sensitive, so strong topdressing can literally roast the roots. Choose a fertilizer with a high nitrogen percentage and sustain the soil acidity. The amount of fertilizer should be reduced according to the label from the package. 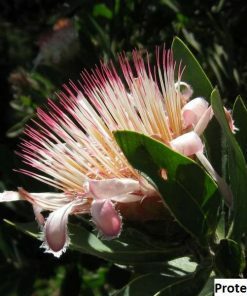 Blossoming: Protea is the national flower of South Africa. It blossoms during the whole year if you provide it with all of the requirements it needs.